One bottle of Prozyme™ Plus will last a 10 lb cat for 32 months! One bottle will last a small dog 16 months or more, a 45 lb dog about 8 months, and a large dog 4-6 months. It is worth the investment! The manufacturer recommends doubling the amount used for animals over 8-years of age, so the product will not last as long for older animals. It is not a surprise that the food we feed out pets today (or eat ourselves, for that matter) isn’t exactly what nature had in mind. Nor should it be a surprise that the processing of our pets’ food changes its molecular structure, and that this change robs our pets’ food of helpful nutrients and enzymes. After all, when did anyone ever really improve nature? Consequently, our pets are developing problems they simply shouldn’t have. Do you think our pets were born to have skin problems? Is it natural for our pets to start limping for no apparent reason? Did nature intend for our pets to develop hot spots or patches of missing hair? The answer, of course, is no. They why are these problems become more common? The answer, in many cases, is a lack of basic nutrition. But, you say, you only give your pet the best food. Well, that may be true. However, the problem is that by the time the food is cooked or stored your pet may not be able to liberate all the nutrition found in the food. The reason most likely is the lack of digestive enzymes. 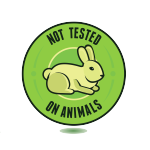 This is especially important for our pets because they rarely eat anything in its natural state. Processed pet food contains no digestive enzymes because the enzymes are destroyed by the cooking and heating required in the manufacturing process (including home-cooked food). Since cooking kills the enzymes, there is nothing in your pets’ food to help liberate the food’s nutritional value. How do you liberate these nutrients? PROZYME® PLUS is the answer. PROZYME® PLUS provides the necessary digestive enzymes that were destroyed in cooking (processing). The addition of PROZYME® PLUS allows greater absorption of the important nutrients found in your pet’s food (by up to 71%). PROZYME® PLUS is a combination of four highly concentrated and purified natural plant-derived enzymes (lipases, amylases, proteases, and cellulases). All ingredients are of human grade quality. 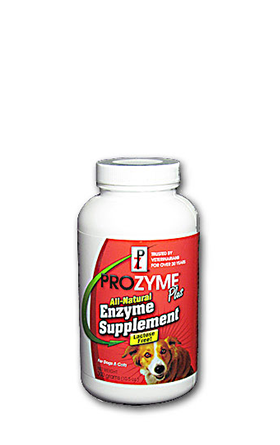 PROZYME® PLUS is beneficial for all companion animals. Digestive enzymes are substances that nature put into the bodies of our pets (and our own bodies) to unlock the nutrition contained in food. Almost every process that goes on in the body requires enzymes. Enzymes are also found in plants and raw foods, in their natural state, to aid the body produced enzymes in doing their jobs. Nobel-prize winner Dr. James B. Sumner of Cornell University suggested many years ago that we would get more nutrition from food if we increased our intake of plant enzymes.